Used North Face Trevail hoodie. 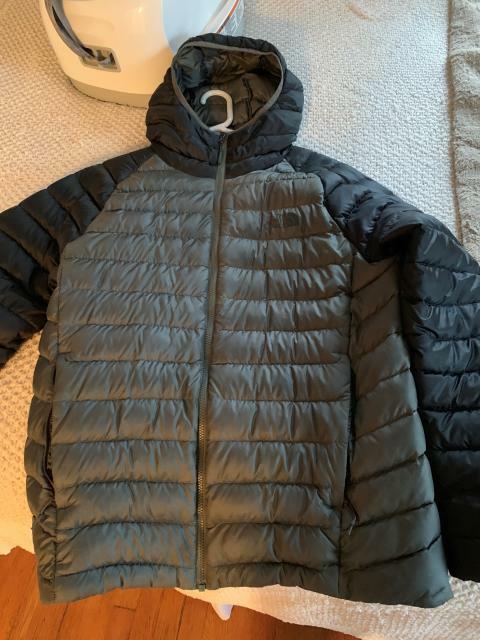 The jacket is in good condition and is a size Large. I have not worn this jacket much as I have lost lots of weight and it no longer fits. Would also consider trading. The was a small rip in the bottom of the backside that I had professionally repaired.